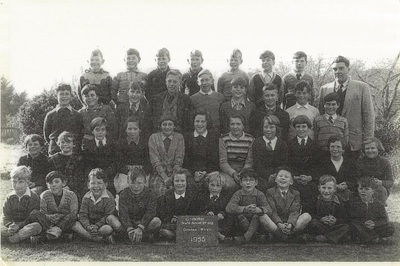 Gisborne Primary School has been serving its local community for over 160 years. The original school building celebrated it's 125th anniversary in 2002. However there had been a school on the site since 1853, 25 years prior. A public meeting was held at Gisborne on the 13th December 1852 with the view to establishing a National School. The population of Gisborne consisted of small landholders, store keepers and labourers. There was no church or school in the township. There were an estimated number of 100 children eligible to attend school. (54 boys and 46 girls) There was uniformity among the majority of inhabitants for the school with the exception of a small minority of Roman Catholics who opposed it. Mr William Robertson was the chairperson of the committee along with fellow landowner Mr J.C. Riddell, Mr Thomas the publican, Mr Harry Lane a store keeper and Mr Patrick Farrell the mechanic, who were made Patrons of the school. They were granted permission and the sum of £400 towards the erection of a school house. On the 21st December 1852 the committee decided on the location of the National School and informed the Board of National Education of their decision. Tenders went out during 1853 for the construction of the school with John Gordon accepting to erect the school for £925 by 15th December 1853. Mr Robert Gregory and his wife was appointed to be the first Head Master and Mistress of the National School of Gisborne and commenced duties in October 1853. 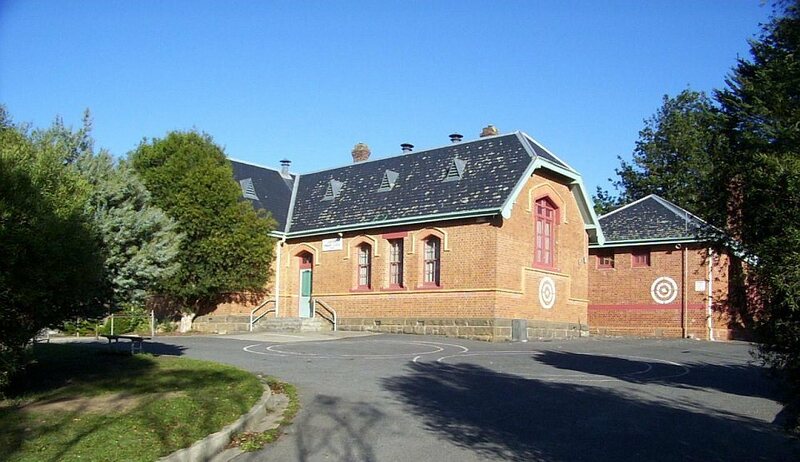 The school commenced in a tent and the building though unfinished was officially opened on 26th December 1853. The opening featured a ceremony with forty children singing a hymn. Afterwards everyone celebrated with buns, cakes and ginger beer. That evening a soiree was held and a further monies raised for the school. Early in 1854, Robert Gregory built a boarding establishment alongside the National School in which he and his wife would teach polite education along with plain and elementary English education in the National School. •In June 1862 there were 52 pupils attending the school. •In 1864 the school first received its number 0262. •In August 1873 the school consisted of a main room, a smaller room with a gallery, a dining room, three bedrooms, drawing room, kitchen and servants room and a storeroom. They rooms were surrounded by a courtyard with a well. In November that year Inspector MacIntyre advised against an enlargement of the old building and recommended the erection of a brick building to accommodate at least 200 children on the site nearest to Prince Street. •In 1877 the plans were finalised and tenders accepted for the new building. It was formally opened on the 17th August 1877 and followed by a ‘Children’s Treat’. The old building was converted and enlarged for a teacher’s residence consisting of ten rooms. Water was laid on the school property in 1892. •The school closed in June 1885 for three weeks due to Diphtheria, January 1894 for a week due to a measles epidemic, November 1898 for three weeks for measles epidemic and in February 1923 for three weeks for a measles epidemic. •In 1894 the Head Teacher, Vincent Collins, gained permission to hold evening classes in English, arithmetic, algebra, shorthand and book keeping. •In 1915 permission was granted to have electric lights installed in the teacher’s residence. •In 1923 the possibility of a school bell was investigated and shelter pavilions were erected. •In 1924 it was considered that the playground was too small and perhaps the land south of the school could be purchased to solve the problem. Two brick rooms were added to the school and an electric light installed in the main room and a wireless purchased by Mr Tate. •In 1925 the school bell was purchased. •In 1928 the school purchased land for a plantation. •In 1949 the school applied for a phone to be installed. •The bell and flag pole was removed to the front lawn of the school in 1955. •In 1977 the shelter sheds were converted into an outdoor learning area. Also that year a portable building arrived from the Rosslynne Dam site to be used as a library. 1977 also saw 100th birthday celebrations, committee members were: Greg Gilmore, Merrilyn Robbins, Jan McIntosh, Graeme Millar, Joan Anderson, Margaret Woods. A booklet was produced with historical data and information. In 2003 the school held 150th birthday celebrations which included; an official ceremony, open day and a children’s fair. It saw the construction of a mosaic tree box and commemorative tree planted. Another school bell was purchased and a time capsule buried. Main committee members; Ian Stove, Penny Keehner, Heather Sapwell, Kim Leech, and Jane Jennings. Other members included Wendy Gray, Catherine Crawford and Bernadette Mekis. 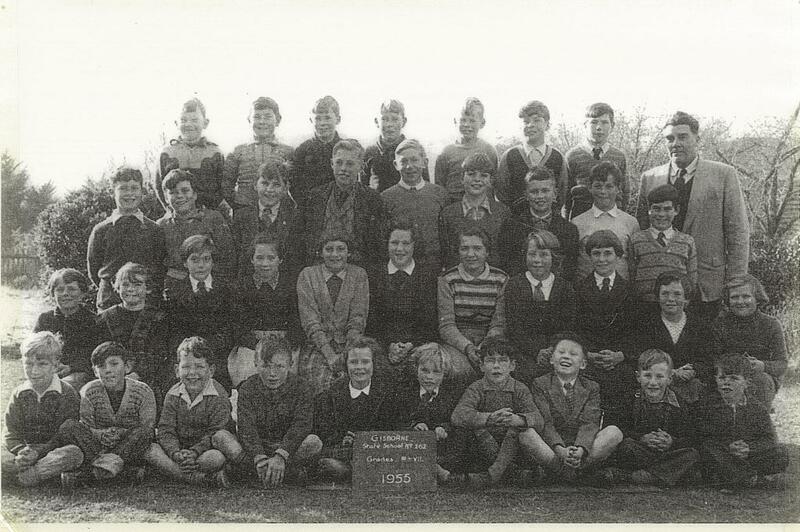 This makes Gisborne Primary School one of the oldest schools in the state.